Dr. Elliott provides the pre-op and post-op care for all of his patients who undergo both medically necessary and elective surgeries. Dr. Elliott has over 20 years of experience co-managing the surgical procedures for a variety of conditions such as: Diabetic Laser, Retinal Detachment, LASIK, PRK, Cataract, and Glaucoma. 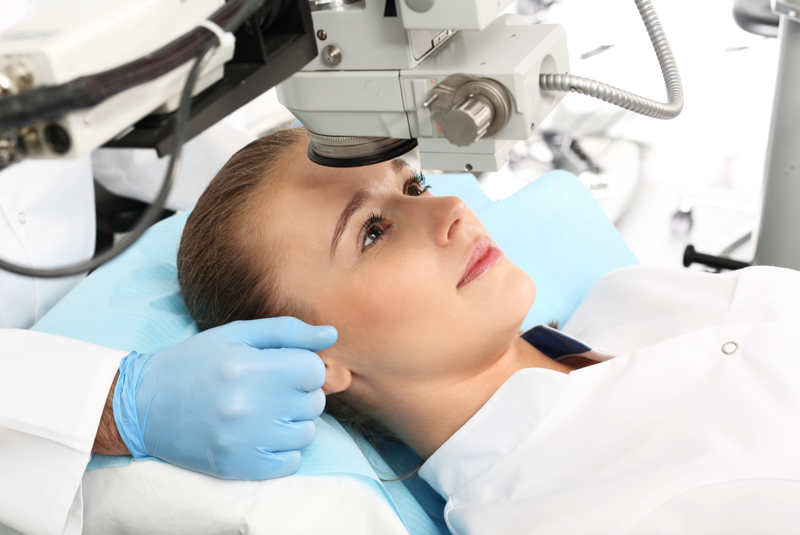 Laser Vision Correction refers to a group of surgical procedures developed to help you reduce or even eliminate your need for eyeglasses or contact lenses. LASIK and PRK are the most common types of procedures to reshape the cornea. Most patients are very happy with the results. Dr. Elliott will examine each patient thoroughly to decide which procedure is best for you. Dr. Elliott will perform a thorough pre-operative eye examination to determine if surgery is appropriate for your individual case. Dr. Elliott will further discuss the benefits, risks, available options, preparation and recovery associated with the surgery to ensure that your goals and expectations are realistic. Dr. Elliott closely works with you and top-rated local surgeons to assure the best surgical outcome. Among the many treatment options available for glaucoma patients, various surgical procedures are available to manage this life-threatening disease. Although surgery for Glaucoma is rarely the first choice among eye care professionals, surgical intervention is recommended in more challenging cases. Dr. Elliott will perform a thorough preoperative eye examination to determine if surgery is appropriate for your individual case. Dr. Elliott will further discuss the benefits, risks, available options, preparation, and recovery associated with the surgery to ensure that your goals and expectations are realistic. Dr. Elliott closely works with you and top-rated local surgeons to assure the best surgical outcome.